The Judicial Nominating Board discusses its powers during a meeting at the Statehouse on Tuesday. On Tuesday afternoon, yet another legal conundrum arose in the state’s Supreme Court saga. 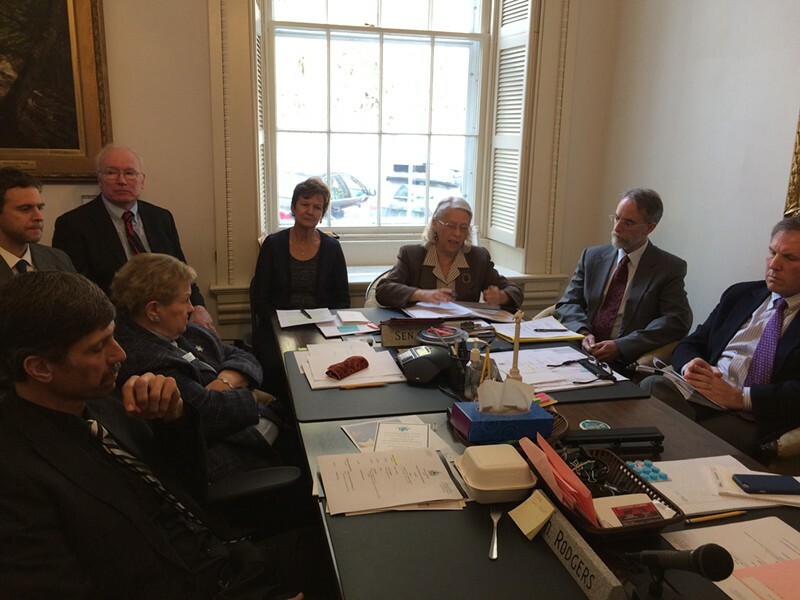 The unusually convoluted process to appoint a new justice to the Vermont Supreme Court is provoking some existential angst on the Judicial Nominating Board, an 11-member body tasked with submitting candidates to the governor. In response to an eleventh-hour legal challenge, the Vermont Supreme Court stopped Democratic Gov. Peter Shumlin from choosing Justice John Dooley’s replacement on his final day in office. That left the decision to incoming Republican Gov. Phil Scott, who inherited the same list of six candidates the JNB offered to Shumlin. Last week, Scott asked the board to give him more names. According to his lawyer, Jaye Pershing Johnson, the governor has not even looked at the names on the original list. But he’s concerned that the legal challenge dissuaded potential candidates from applying the first time around, she added. Heeding Scott’s request, the JNB put out a call for more candidates. But during a meeting Tuesday, John Evers, an attorney and member of the JNB, questioned whether the board has the authority to reopen the application process. He said that nothing in Vermont’s constitution or state law explicitly grants the JNB the ability to submit multiple lists to the governor. William Griffin, the chief assistant attorney general, told the board he believed it has the discretion to do so. And it’s not unprecedented — former governors Jim Douglas and Howard Dean both rejected the JNB’s slate of candidates and requested more names when they were filling Supreme Court vacancies. The board voted 8-3 to go ahead and give Scott more names. The board will now solicit applications, conduct interviews and choose new applicants to forward to Scott. The board’s chair, Sen. Peg Flory (R-Rutland), said she hopes to finish the process before February 1, when new members will be elected to the JNB. Some members had lingering reservations. “I do not think that this board should be a yo-yo or be the whipping board of any governor who continually asks for lists,” said Sen. Kevin Mullin (R-Rutland). Evers echoed Mullin’s sentiment during an interview after Tuesday’s meeting. “If the purpose for our existence is to be this independent screener of applicants for the Supreme Court or any other judicial position, then that independence potentially becomes undermined” if a governor repeatedly requests additional candidates, he argued.